This is a story about earning her first QwikLabs badge written by a member of DSC NSEC — Anuska Sinha, 1st year, BTech. Information Technology, NSEC. On Saturday, 23rd February 2019, DSC NSEC and GCDC Kolkata organised Kolkata’s first Cloud Study Jam. It was one of the most informative and interesting workshops I have ever been too. The first session was presented by Sumitra Bagchi on “Essentials of GCP for ML/AI” who taught us to use and work on quests on QwikLabs. Machine Learning is a very intriguing topic and getting an opportunity to have a hands-on practice Lab experience was a blessing. The ‘Baseline-Data/Ml/AI’ is the quest she suggested us to start with. It had 13 hands-on labs which were all fun to do. They had very clearly explained steps which helped me to complete the quest easily. 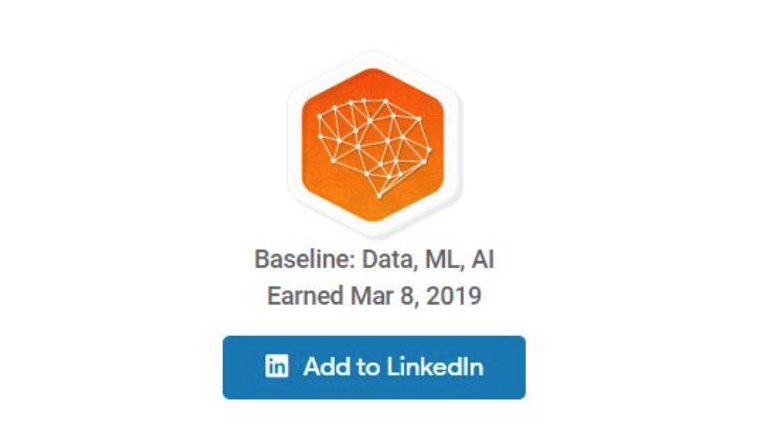 I earned a badge on ‘Baseline: Data, ML, AI’. The next session was taken by DSC NSEC Lead Anubhav Singh, who clearly and in simple words explained to us the meaning and basics of IoT, which is also a topic which is on huge demand now-a-days. I have always been interested in exploring and learning new topics like these and hence I am going to do the next quest that Anubhav suggested i.e. ‘IoT in the Google Cloud’. All these people and their knowledge on different topics are a huge inspiration! Thank you so much, DSC NSEC and GCDC Kolkata for this opportunity. Looking forward to more such sessions and study jams! dscnsec.com — A Developer Students’ Club is a Google recognised student club in a college/university which promotes technology and spreads computer education!